New to CFSWP? Want to feel and look better? Join one of our many programs and get into the best shape of your life now. It’s time to start or continue your journey and get the fitness results you have been dreaming about. 1) NEW? Start here: Getting Started Program- 4 weeks, introduces you to CrossFit slowly and safely, not rushed through, up to three times a week. 3) CrossFit: Strength and Conditioning program, varied programing. 4) Open gym: Make up a missed workout, work on your goals or something that is challenging for you. 5) Personal Training: Get stronger, faster, better with customized programming and personal training, weekly check ins. Not ready for regular CrossFit but interested in trying a conditioning class with less technique lifts? Interested in seeing more definition in your abs or loose that muffin top or maybe firm up those arms? Motivated and looking for a fun and challenging workout? We can help. Join Shannon every MWF at 9am for a great conditioning workout (CrossFit Burn). All abilities and levels are welcome. Scale to your fitness level and start a new fitness opportunity now. Schedule here (shannon@cfswp.com) and try a free week and see what you have been missing. 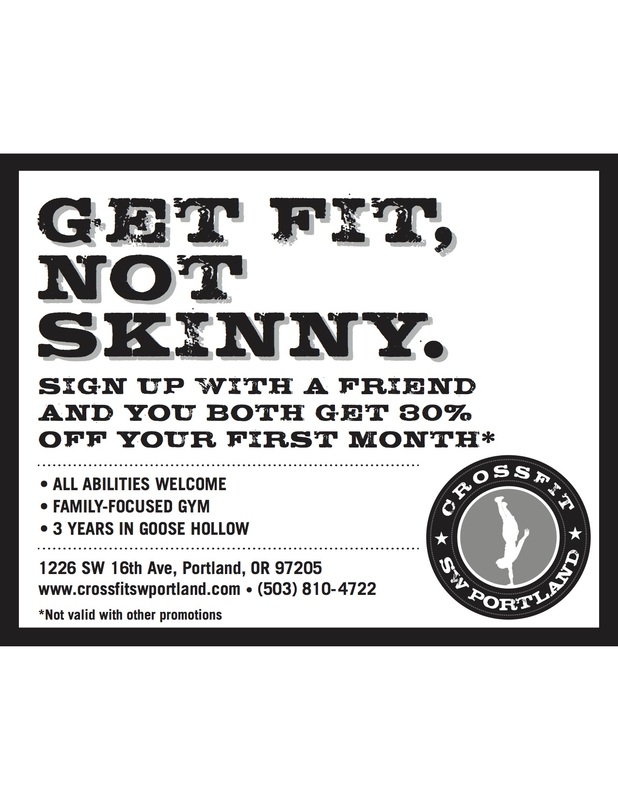 I am looking to try Crossfit to get into better shape! !